Running away from zombies, finding no bullets, do you also find yourself stuck in the game? 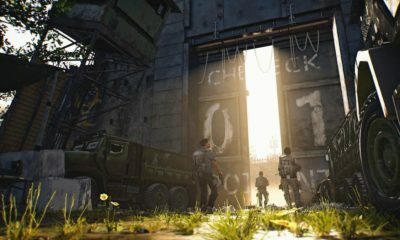 This article will guide you on how to open lockers, find safe codes, weapons locations and many other points of interest. If you have ever faced Mr. X in Resident Evil 2 Remastered and you could not survive because you lacked the necessary weapons or ammunition then we can understand your problem. Don’t worry, you are not the only one out there. Mr. X is a sneaky killer who can corner you anywhere in the game. Good news is that this guide will tell you the location of almost every crucial item that you are going to need for survival. 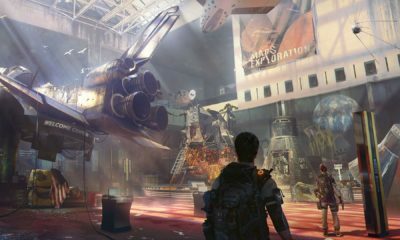 From Mr. Racoon’s location to best weapons in the game, we will provide you with all the details. This article includes all the general tips that a Resident Evil player should know. It covers how you can deal with zombies, find extra ammo and other information on the map which you might have missed during the tense play. This information can be extremely vital when Mr. X appears in front of you out of nowhere. Reward: A hip pouch that will increase your inventory space greatly. Reward: Muzzle Brake for Leon’s Matilda and High Capacity Mag for Claire’s JMB HP3 firearm. Reward: Matilda Stock for Leon and Speed Loader for Claire’s SLS 60. Reward: Shotgun ammo for Leon and flame rounds for Claire’s grenade launcher. Reward: Magnum ammo for Leon and submachine rounds for Claire. 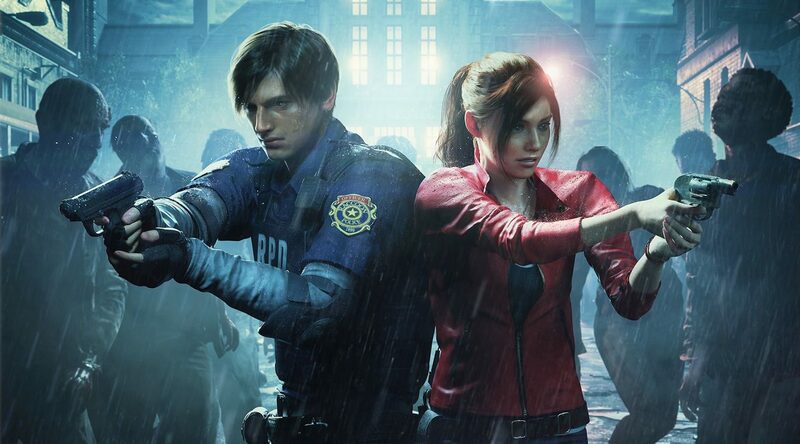 Weapons: Resident Evil 2 remake offers plenty of firearms choice. You can find many weapons with upgrades for each of them. By finding both: weapon and its attachment, you can turn a simple pistol into a semi-auto burst machine. Matilda: It is a standard issue pistol for Leon so there is no need to search room after room for this one. You can find extended magazine upgrade in the West Office at 1st floor, Muzzle break in Waiting Room at 2nd floor and Gunstock in Parking Garage for this pistol. W-870 Shotgun: Shotgun can be found in the Safety Deposit Room on the west side of 1st But to open this room, find the Weapon Locker Card which is hidden in the Art Room at 2nd floor. Shotgun can be upgraded with Long Barrel located in Kendo’s Gun Shop and Stock which is present inside a safe in Pool Room of Upper Sewers. Lightning Hawk: This extremely powerful pistol is not easy to find. Firstly, you have to obtain S.T.A.R.S badge and turn it into USB that will open the armory in the S.T.A.R.S office. To find the badge you must visit the library, there is a book that you must take to the Art room. Combine the arm with the book and place it on the statue. The statue will give you a scepter showing a red jewel. This red jewel is to be placed in a box in the interrogation room. If you think this pistol is worth the trouble, perform all the above-mentioned steps and pick up the Lighting Hawk that is placed inside the Armory. It can be upgraded with Long Barrel and Red-dot sight. Long Barrel can be found in Underground Facility in a glass case while Red-dot sight can be obtained from the S.T.A.R.S office. Chemical Thrower: Chemical Thrower is the best weapon to wipe out lickers that are mostly present in the sewers. It can be found in the Supplies Storage Room, just hanging there on a wall. But to pick it, you must solve a puzzle. Chemical thrower can be upgraded with a Regulator that is placed inside the Nap Room. 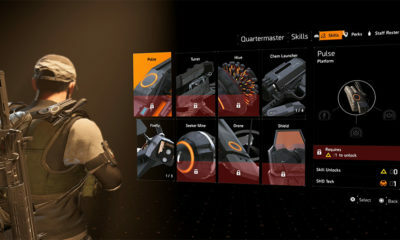 SLS 60: It is a standard issued pistol that is given to Claire at the start of the game. This simple pistol can be upgraded with Speed Loader to increase reload speed and Reinforced Frame. Former one can be found in the West Office at 1st floor while the later one is present in the Treatment Pool in upper Sewers. JMP Hp3: A much better pistol than SLS 60 with high damage. This pistol can be found in the Parking Garage. JMP Hp3 can be upgraded with High-Capacity Magazine placed in a safe of Waiting Room at 2nd floor of the Police station. Gm79 Grenade Launcher: This grenade launcher is better than having a shotgun at your disposal. Though we would not recommend using it in a close combat as the blast radius can damage your character as well. Grenade Launcher can be found by the same way you find Leon’s Shotgun. MQ-11: This SMG can be found in the Armory of the S.T.A.R.S office. With high fire rate and a silencer upgrade this can be ideal to kill some zombies without alerting lickers or Mr. X in the game. The process to find MQ-11 is same as you find Lighting Hawk for Leon. Spark Shot: This pistol will release an arc that will electrify any zombie in your way leaving him shocked for a limited time. It can be extremely useful when you are trying to run away from Tyrant. Spark Shot can be found in the lowest point of sewers. This pistol can be upgraded with High-Voltage Condenser that is placed inside the Nap Room of Laboratory. Police Station Firing Range: On the ground near a target. Police Station Break Room: Between a bunk and a brown leather bag near a sink. Police Station Chief’s Office: On the table, right by the stairs. Police Station West Office: On top of the boxes placed above shelves in the corner. Police Station, Clock tower room: At the end of backdoor near a window. Police Station S.T.A.R.S Office: On the desk right by the monitor. Sewer: On the floor near water pipes. Incinerator Room: Between the pillar and a large bag. Sewers: Placed in the corner, at right side of blue wheel barrow. Cafeteria: On a table beside TV set. Nap Room: In one of the sleeping pods. Police Station: In the plants at the entrance. Police Station, East Storage Room: Hidden on top of boxes placed on the shelves. Bus Dashboard: On the dashboard of a bus behind the police department. Orphanage Nursery: Inside the little cupboard.